Our Time is one of the projects from People Media that saw the world in 2011. This is a niche dating site, designed specifically for mature, 50+ audiences. This international platform works all globally and offers its users a chance to communicate with peers locally or across the globe. Apart from audience age, the site does not feature any other restrictions. Here, users can search for friends, short or long-term relationships and even marriage partners. Even though OurTime is an international platform, the vast majority of users come from the US. Of 8 million global visits, an astonishing 7.7 million come from the states. The site has a total of 1.5 million US members and boats 180 thousand active users per week. Females slightly outnumber males on OurTime, with 55% and 45% percent of the demographics respectively. 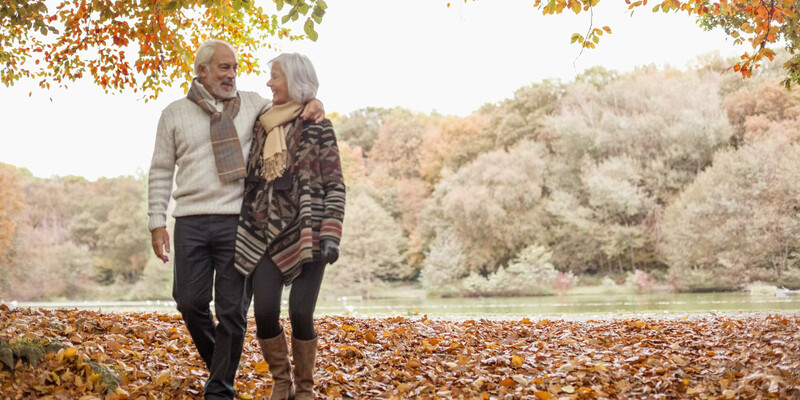 Stats aside, OurTime offers fifty-plus-year-old demographics a unique chance to start friendly and loving relationships. As of today, 50+ is a growing demographics in the dating world, even though the vast majority of dating platforms seem to neglect it. OurTime is a lucky exception, which deserves a shot. OurTime has a simple and intuitive registration process, which is a very helpful feature given its target audience. All in all, the sign-up takes approximately three minutes, as users give only the most basic information about themselves. Another useful feature is that new members can upload up to 30 photos when they register, so they will not have to spend too much time thinking about the best avatars. The registration is free of charge, and right after a new user signs in, one can start searching for other members. Apart from the above parameters, users can search for people who are currently online or choose to browse only new member profiles. The latter one can prove useful for old-time members. Searching for users is free of charge, but to contact them, you’ll have to get a paid membership. On the upside, there is a ‘flirt’ button, similar to Facebook ‘like’ or ‘poke’ that allows free members to show interest in other people’s profiles. Absolutely all profiles, free and paid ones, are visible to all users. The only difference at this point is that premium members can send other people messages and use a chat room, and free ones cannot. On the whole, OurTime profiles are pretty informative, even though the site does not ask a lot of info when new users sign up. They can, however, fill in their accounts laters, and most users make use of this feature. Each profile has a set of boxes that can be filled in and modified after the registration. The vast majority of OurTime profiles have all the info you can set in search parameters, including specific age, religion, ethnicity, marital status, relationship preferences and so on. Given that OurTime does not have a specific relationship type in mind, this feature is incredibly helpful, as it allows users to differentiate between people looking for penpals and those interested in marriage and commitment. Such level of profile detail offers all members to sneak a peek into the other users’ mentality. So, all members are welcome to make the most of internal search system, carefully read a couple of other people’s profiles and see if they would like to make contact with someone. Obviously, there are no restrictions as to the number of people you’re communicating with. The major downside of the platform is that OurTime does not do much to verify user identity or make sure that the information users mention in their profile boxes is correct. They do, on occasion, create test profiles to check on the site’s functionality, but this is pretty much it. So, users can occasionally come across fake profiles. Thus, OurTime management urges all users to exercise caution when communicating with other users. If we assume that a profile is authentic, profile informativeness and available communication means are pretty handy. However, you should remember about online scam and never send other users money — no matter what heartbreaking stories you hear. Otherwise, the quality of profiles is impressively high for a dating platform. In addition to the desktop version, OurTime recently launched a mobile app that already has plenty of downloads — despite this site’s main demographics. A solution that seemed impractical at first proved pretty helpful, as users can easily communicate reclining in her chairs and staying online whenever they go. Plus, OurTime app is carefully designed for older audiences, as features large icons and fonts and has very simple and straightforward navigation. It does not offer any additional features, but on the upside — it does not compromise on desktop functional either. OurTime works on a mixed subscription/token system. To contact members and make use of the site functional, users are supposed to pay a monthly membership fee. The longer the subscription term, the lower monthly cost is. Tokens or credits are paid for separately and can be used on additional features, such as sending virtual gifts and boosting your profile visibility. These features, however, are quite optional, and it is absolutely possible to do without them. As for the subscription fees, they presuppose getting in touch with other users, opening messages, starting live chats, and getting email notifications about incoming messages. The minimum cost for one month is $29.96. If you would like to save some cash, you can order a 6-month subscription, which will cost you $15/month with a single payment of $90. Unfortunately, there are no in-between options here — either a month or 6 months. On the upside, a trial period for $29.96 should give most users enough insight to see if they would even be interested in a 6-month subscription. It is a good question whether a value subscription is worth a couple of extra bucks per month. Our verdict would be no — after all, the only useful feature it offers is an ability to see when your message reaches another user. The colour feature, on the other hand, seems totally useless. As for the tokens that can be spent on virtual gifts and boosting your profile visibility, they come at a fixed cost of $0.04 per credit. Credits are bought in bulk, in 25, 110, and 280 credits respectively. The amount of credits purchased does not affect cost per each credit. But once again — it is important to mention that credits are optional, and — to be completely frank — often unnecessary. Comparing to other dating platforms’ costs and fees, OurTime has a pretty average pricing system. Plus, a subscription feature is very useful for members who really plan to get active on the site. Unlike most other platforms that charge for each message sent (or even opened), paying a fixed monthly membership fee is a more price-sensitive solution. It is, however, not always as frugal if a member is not active. Several payment options are available — apart from standard credit card and PayPal payments, users can pay for the subscription from their mobile phones. As we already mentioned, users can send other members virtual gifts. The feature is available to both men and women and has a distinct goal in mind — attract more attention to the sender’s humble person. Since members get plenty of messages from other users, sending a virtual gift on top of an ordinary message helps one stand out from the ‘competition’ and catch the recipient’s attention. This one is pretty simple — you pay credits for having your profile displayed on top of the search results. This way, you boost your visibility and get more messages from other users. This feature offers users a virtual phone number that allows them to connect with other people without disclosing their real-life contact details. It may prove handy by the time you meet someone you would like to establish a better connection with, without limiting your communication to an internal chat room. At the same time, it offers some privacy protection just in case it does not click between you two. This feature allows you to include more profile text boxes and make the most of your profile description. Plus, users do not have to be savvy writers to complete those — if you do not feel like describing your personality yourself, you can get in touch with site team writers, and they will handle the job for you. The site is for users in their fifties and older. Age is the only restriction on this platform — as for the rest, users are free to choose whichever relationships they’re interested in — from friendship to marriage. Yes. 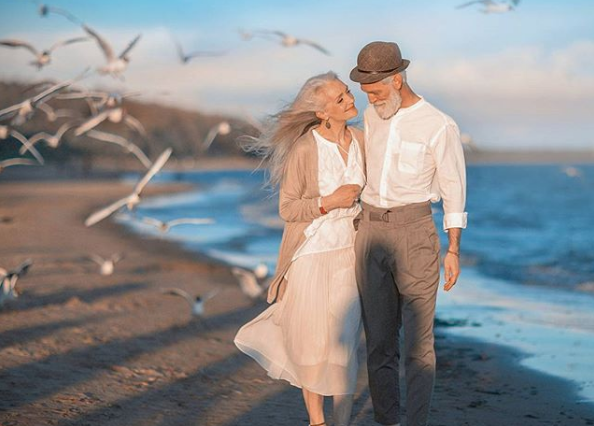 There aren’t that many dating sites that target mature demographics, which is why this platform gets plenty of visits every day and has an impressive database of active users. Yes, they can, but OurTime is not the platform to search for sugar daddies and cougars. While every person who reaches 18 can subscribe, it’s unlikely that such a profile will get a lot of attention. As already mentioned, mature people are the main demographics, and most users prefer someone in their own age category. Dallas, Texas. However, this is not strictly a US-based platform — users are located worldwide. However, the odds of getting to know someone from the US are higher, since most active users come from the states. Is it a side project of match.com? No. Even though both dating sites are run by the same company, match.com is a mainstream site that targets broader (and often younger) audiences. OurTime is reserved for mature people in their fifties and older. Yes. OurTime has very sophisticated search algorithms and a pretty straightforward messaging system. It’s incredibly easy and intuitive to use.